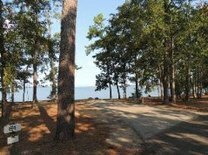 For the first time in Texas State Parks history, through a pilot project, campers planning a visit to Lake Livingston State Park in the Pineywoods can now view and reserve a specific campsite or screened shelter. An interactive map offers photos and a brief site description. Reservations can then be finalized online or by calling (512) 389-8900. This makes it easy for first-time visitors to see sites ahead of time or for RV owners to check site orientation, slope and measurements of the campsite, where the trees are located that might interfere with slide-outs and the location of sewer drops. Ten screened shelters and 34 full-hookup, 50-amp service campsites are participating during the pilot. The park’s full 170 campsites are still available through the regular reservations system. Watch this video to check out all this park has to offer. The park entrance fee is $5 for persons 13 and older. Campsites range from $10 to $25 per night. Screened shelters rent for $30 per night. Dutch Oven Green Chile, Chicken and Spinach Enchiladas won by a landslide in an outdoor cooking contest held on the Texas Parks and Wildlife Pinterest page earlier this year. Serna will receive free entry to a Texas Outdoor Family workshop for her winning entry. As the founder of North Texas Kids Outside, an organization that helps connect families with the outdoors, Serna said she has a family in mind with whom she plans to share her prize. 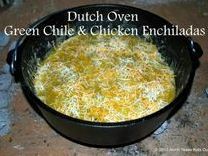 For other Dutch oven recipes, view the "Eat Local: Cooking Texas Style" videos on the Texas Parks and Wildlife YouTube channel, and the Outdoor Cooking Contest and Picnics and Outdoor Cooking boards on Pinterest. Buffalo Soldiers were our country’s first professional black soldiers and served on the western frontier more than 100 years ago. Their posts ranged from Texas to the Dakota territories where the soldiers’ main job was to support the westward expansion of the United States. Buffalo Soldiers were some of the original outdoorsmen - hunting and fishing, camping, riding bikes and serving as some of the country’s first park rangers. Learn more about their history in this video. Today’s volunteer Buffalo Soldiers will be visiting state parks this spring, teaching visitors about animal tracking, cane pole fishing, campfire cooking and telling stories of their history. Check the events calendar to find where they will be. Want to volunteer with this group? 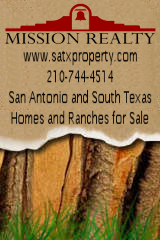 If you can teach an outdoor skill, take great photographs, or just want to help, e-mail Buffalo Soldiers, call (512) 389-8569, or sign up online. Take a great picture with friends or family at a Texas State Park? Don’t just share it; enter it – in the new Texas State Parks Photo Contest, running from March 1 to April 15, 2014. Enter photos of your “most playful moments in a Texas State Park.” Show us the connection between people and nature as your inner child, or your real children, enjoy playful moments you create in one of the 90-plus Texas State Parks. 3 Contest Categories: 17 and under; 18 and older; and a new Instagram category using the hashtag #MyParkPic. Prizes: Winners in each category will have their photos featured in Texas Parks & Wildlife magazine and will win a HERO3+ Silver Edition GoPro® video camera (a $300 value) from Whole Earth Provision Co.
How to Enter: Visit the Photography page on the Texas State Parks website for instructions, rules and more information. Check out last year’s winning photos and view all 2013 entries. March madness − for those who enjoy looking at wildlife and especially birds − happens every spring as millions of birds head north through Texas to their summer breeding grounds. Take your binoculars for a walk in a Texas state park. It’s a great excuse to stroll slowly, gaze at the sky and peer into the trees. You’re bound to see something interesting: a fox, whitetail, butterflies and lots of birds. Take them for a road trip using a Wildlife Trail Map. Nine driving trail maps direct you to 980 places in the state to see wildlife such as birds, butterflies, bats or pronghorns. Learn how to get these great maps and watch a video of what you might see. Put your binoculars and your bird ID skills to work during the Great Texas Birding Classic which runs from April 15 to May 15. Watch "Flocking with Friends" to see teams participating across the state. Choose a tournament category that suits your interest, ability and leisure time, and register. Focus them on the spectacular birds at the World Birding Center. This world-class destination has just grown by 35 acres thanks to a recent donation. And remember, with or without binoculars, springtime is a great time for wildlife watching.